For many, recent events have been a reminder of how important diverse, inclusive leadership is in building cities and spaces we all can thrive in. Yet while we know that the Greater Toronto & Hamilton Area (GTHA) is one of the most diverse regions in the world, leadership across sectors still does not reflect this. To tackle today’s big urban issues, we need diverse voices around our decision-making tables with the right tools and ready-made network to move us forward. DiverseCity Fellows is one way CivicAction is working to address this increasingly-important leadership gap. With collaborative training sessions, an opportunity to incubate city-building projects, and an integrated mentorship component, DiverseCity Fellows are uniquely positioned to contribute to the ongoing growth and success of the region. In past years, we’ve seen Fellows scale their impact as agents of change, incubating transformative city-building projects such as the Pan Am Path and the Aboriginal Professional Association of Canada. 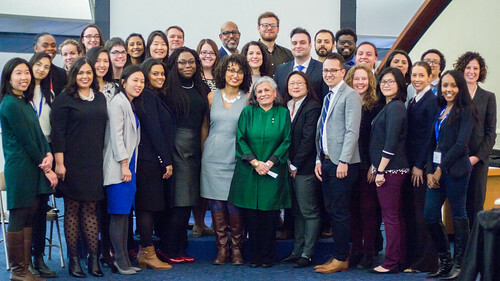 From community grassroots leaders to not-for profit influencers to private sector champions, this year’s DiverseCity Fellows represent the GTHA’s diverse communities, people, talent and excellence. Learn more about this group of 25 dynamic civic rock stars by clicking the box below (and be sure to check out the recent profile story in the Toronto Star!). Click here to check out pictures from the launch of the 2017 cohort of Fellows!